International Monetary Fund (IMF) has warned the Marshall Islands against adopting a digital currency, or cryptocurrency, as a second form of legal tender. The move by the Washington-based global financial institution has been cited as evidence of the steps central bankers will take to thwart cryptocurrency adoption. 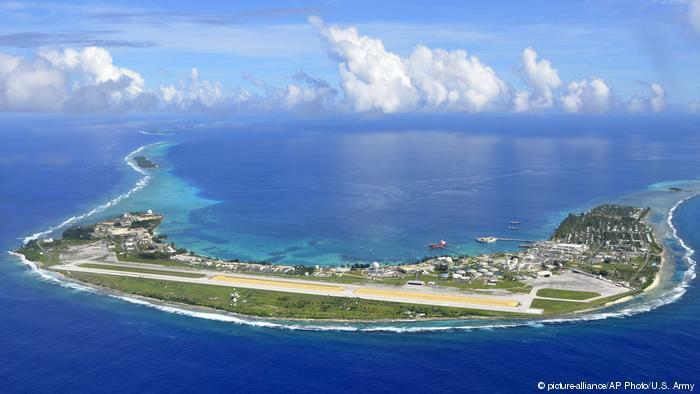 Marshall Islands’ decision could have ramifications that extend far beyond the confines of the Pacific island country. The digital currency would be adopted as a second official currency after the US dollar. This could lead the RMI to the loss of the last US dollar correspondent banking relationship through the Bank of Marshall Islands because of the rising due diligence by banks in the United States. The RMI economy is highly dependent on receiving and spending US grants and hence the loss of important banking relationships would hurt the country’s economy. The IMF also thinks that the cost of adopting a cryptocoin that would include development and enforcement of anti-money laundering(AML) techniques and also counter measures to avoid financing of terrorism(CFL) would outweigh any financial advantages. The press release said: “The potential benefits from revenue gains appear considerably smaller than the potential costs arising from economic, reputational, AML/CFT, and governance risks. Obviously, other nation states considering introducing their own crypto will be watching the Marshall Islands closely to see how it responds to the IMF’s warning.